A resident of Garden Grove, Orozco served in the Navy from 2005 – 2012, and was stationed in Virginia Beach, VA and Bahrain. “Coming out of the military is a really hard transition,” said Orozco. “The VRC [Veterans Resource Center] at Golden West College helped me get on the right track. Being able to come in to do my homework, grab a snack, and be around other vets made things easier. For Orozco, the most beneficial service of the VRC was the constant support provided by personnel. “It took me a while to get to where I’m at. 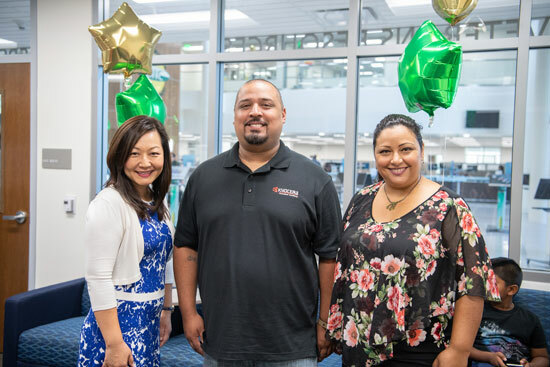 I had a lot of ups and downs, but I had a goal in mind and wanted to prove to my son that I could do it.” Orozco’s goal was realized in May 2018, when he graduated with an AA in Accounting. He plans to return to GWC to take a few more courses before transferring to a four-year institution. 19 Former Rustlers have played in or are currently playing in the Major Leagues.